The iCloud Photo Library is another amazing feature of your iOS devices, which automatically saves any video or photos you take to iCloud, thereby making them easily accessible from any supported device anytime you want. If you have been having a hard time accessing your iCloud Photo Library, you can use any of the following methods we have outlined below to access and download your photos in iCloud. One way which you can access photos in the iCloud Photo library on either PC or Mac is to turn on iCloud Photo Library located in iCloud Desktop. 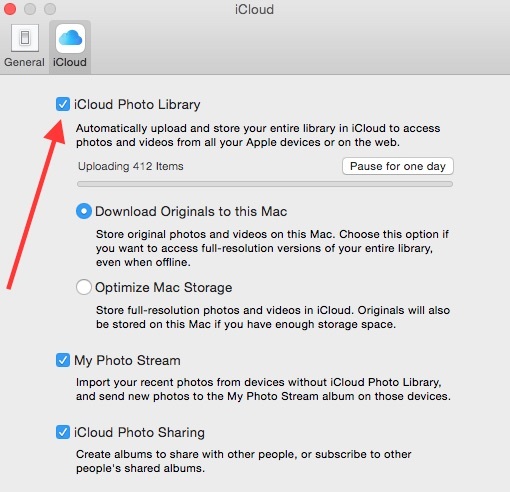 How to Access Photos in iCloud Photo Library on Mac? To access and download photos in iCloud Photo Library on your Mac, follow the steps outlined below. Open the System Preferences then click iCloud. Next, using your Apple ID, sign-in to iCloud. Tick the checkbox located in front of Photos to activate it. Then, activate the iCloud Photo Library by clicking on the Options button of Photos. Your photos will be uploaded automatically to iCloud, and access will be granted to iCloud Photo Library on your Mac and other devices. How to Access Photos in iCloud Photo Library on Windows? 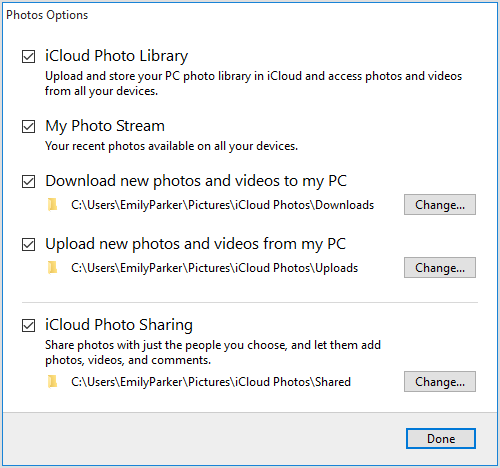 Follow the steps outlined below to access and download photos in iCloud Photo Library on your Windows PC. Begin by downloading iCloud for Windows. Find and click Options next to Photos. After turning on iCloud Photo Library on your computer, the photos and videos are uploaded automatically to iCloud Photo Library and you can then download your collection of pictures and videos. To download your photos, simply open the file explorer window, click on iCloud Photos located under Favorites, and select the photos or videos you want to download. When you click on Download, they would be downloaded to whatever location you set. Go to iCloud.com using any browser, and sign in. From the main menu, click Photos. Next, select the pictures/videos you want to download. Then click the Download icon on the upper right corner of your screen, which will begin to download the selected items. Although all of these methods above work to access iCloud photos, they are somewhat inconvenient, especially seeing as you have to go through several separate steps to access or download your photos and videos. You also have to be familiar with the various steps for all your devices, which can be quite tasking. Well, you can avoid all of these complicated steps by following the simple and easy way outlined below, which allows you to directly access and download your photos in iCloud Photo Library. It supports to view and download data from all your backups in your iCloud account without stress. You can also use this software to selectively backup your device for free, as it bypasses Apple's restrictions on backing up iOS devices. 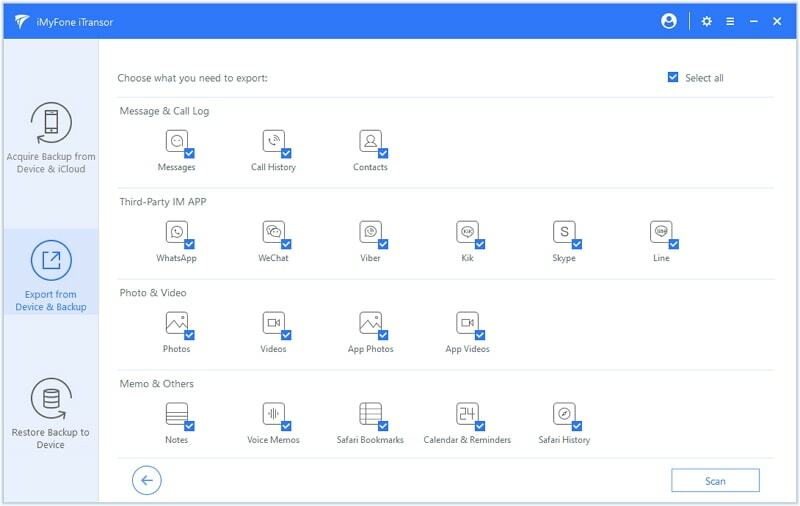 The backup and restore features are used to transfer like contacts, messages, WeChat or WhatsApp from iPhone to iPhone and omit those you don't need. 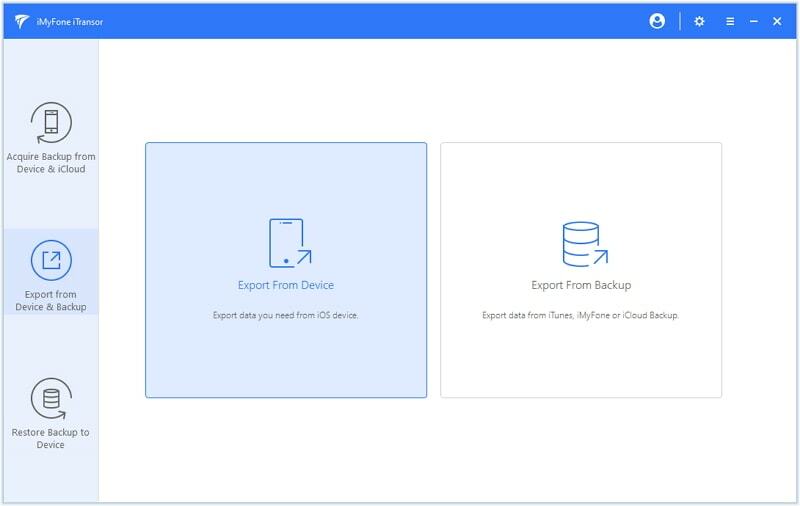 Select Export from Device & Backup. Ensure your device is detected by the software, and then click Export from Device. Choose the type(s) of data you want to export from the list of displayed types on the screen. You need to choose Photos in this case. Click Next to scan and analyze your device. 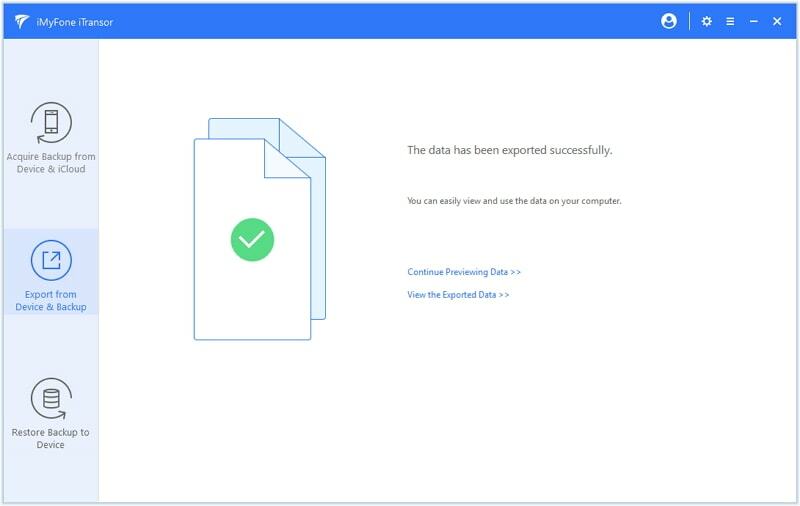 After the completion of the scanning process, you will be able to preview the data in detail and choose the specific ones you want by clicking on Export to have them saved on your computer. You can access photos in iCloud Photo Library in several ways, including using your Mac and PC, as well as view iCloud photos online, following the steps we have outlined above. However, as you can see, with iMyFone iTransor, it is easier to access and export photos in your iCloud Photo Library, even you use iOS 12. The software comprises an all-in-one feature, which allows the accessing, importing and backing up of data from your iOS devices or backups. Also, it can be used even when you don’t have cellular network on your device, thereby making it perfect for accessing your data when traveling or in remote locations with no network. Just download iMyFone iTransor, you can now access iCloud Photo Library away with those long and complicated Apple processes.